SUNRISE, FL – Jan. 24, 2018 – U.S. Stem Cell, Inc. (OTC: USRM), a leader in the development of proprietary, physician-based stem cell therapies and novel regenerative medicine solutions, today announced its Chief Science Officer, Dr. Kristin Comella, has been featured in the docuseries, “The Healing Miracle: The Truth About Stem Cells” — a film that interviews renowned experts in the field of stem cell medicine and explores in-depth the benefits and application of regenerative stem cell therapy. Dr. Comella, who has more than 20+ years’ experience and is one of the world’s leading stem cell scientists, has been involved in more than 10,000 stem cell procedures at USRM since 2001. 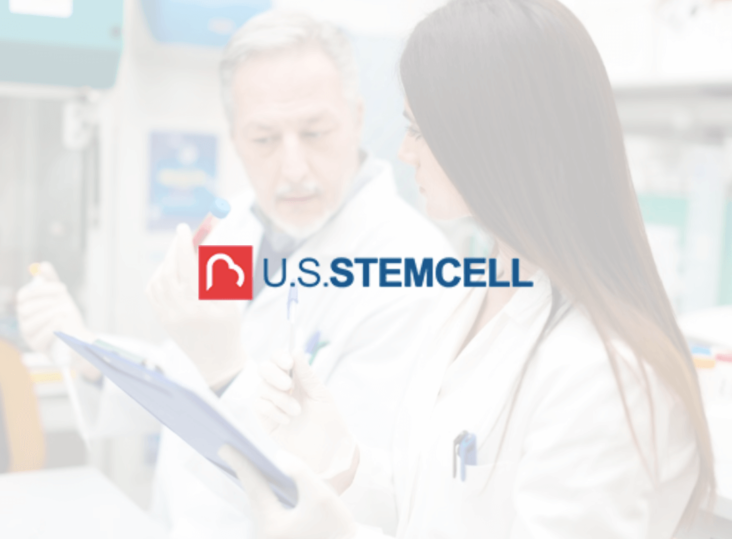 USRM has pioneered stem cell therapy for damaged tissue from a variety of indications including orthopedic, autoimmune, degenerative and neurological diseases. USRM also trains and certifies physicians in stem cell therapy — to date, more than 700+ physicians worldwide — and has engaged with more than 287 clinics. Dr. Comella is well published in the scientific literature and has been recognized by her peers as an innovator and world leader in the development and clinical practice of stem cell products and therapies. She has also been instrumental in developing and bringing to market USRM’s AdipocellTM , a stem cell kit which enables physicians to separate stem cells from a patient’s own fat cells, which are harvested and reinserted in a minimally invasive, two-hour procedure without general anesthesia. In the documentary, Dr. Comella (who has worked with all kinds of stem cells including, bone, muscle and fat), recounts an emotional experience with a patient who presented with a two-year-old head trauma and was wheelchair bound. Following her stem cell protocol with Dr. Comella and USRM, she had a life-changing experience. Americans in general have been relatively uninformed about the availability of the field of stem cell therapy and regenerative medicine as an option for treating chronic pain conditions, damaged tissue and life-threatening illness. ‘The Healing Miracle,’ which is produced by Jeff Hays Films, is on a mission to change that trend by shining a light on a field of medicine that has been somewhat sidelined by U.S. regulatory agencies. Last November, the FDA issued a long-awaited statement indicating it is moving toward integrating stem cell therapy into its code of practice, but concluded by giving itself three years to determine whether it will heavily regulate stem cells in humans as drugs, or continue to allow individuals to have free access to their own healing reserves of stem cells. Dr. Comella is featured in episode 5 of the docuseries, which is available in its entirety online. To watch just Dr. Comella’s interview, click the Brainshark link here and fill out the information which will provide complimentary access. U.S. Stem Cell, Inc. is an emerging leader in the regenerative medicine / cellular therapy industry specializing in physician training and certification and stem cell products including its lead product AdipocellTM , as well as veterinary stem cell training and stem cell banking and creation and management of stem cell clinics. To management’s knowledge, USRM has completed more clinical treatments than any other stem cell company in the world in the past 20 years, and has certified more than 700 physicians and veterinarians in autologous stem cell therapy worldwide.